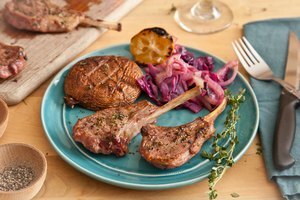 Portions of lamb like the shank, chop, roast and Frenched rib chops make savory meat entrees for an elegant meal. 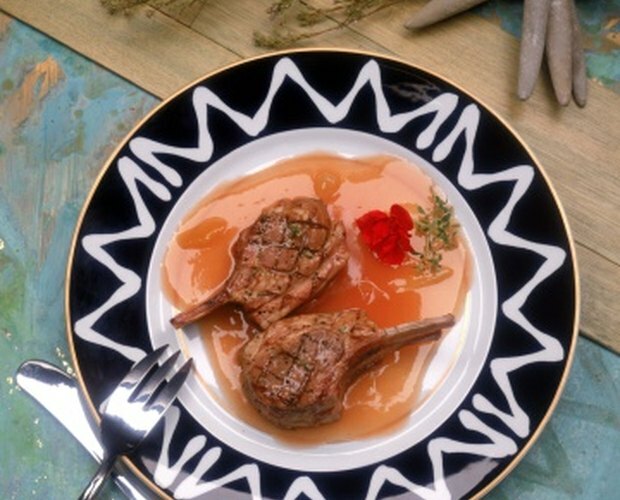 Lamb is the key ingredient for many tasty ethnic dishes like Indian or Greek. 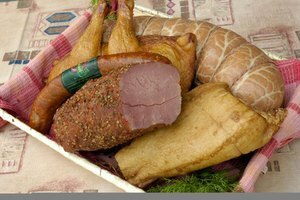 However, some people find that the meat has a gamey odor that may linger after the meal has been finished. 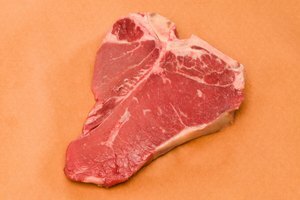 Negative odor-causing ions allow lamb smells to linger. Take a few precautions before and during the cooking process then follow up with a tidy cleaning to abolish all stinky odors. Select the freshest lamb possible by picking bright red cuts that have a recent freshness date. 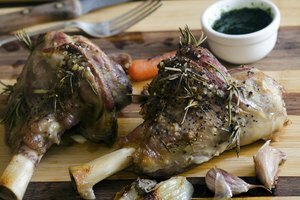 Cook lamb with lots of aromatics like rosemary and thyme. Add 1 tsp. of lemon juice to the dish, if possible to curb the odor. Boil 2 cups of white vinegar on the stove to remove the odor. Take out lamb leftovers and scraps immediately. Place them in an outside garbage bin. Spray the air with an ionizing deodorant spray to offset the odorous ions. Open windows and turn on fans to get the air circulating in the kitchen area. 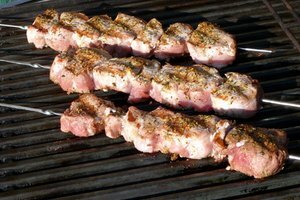 Purdue University; "User's Guide to Lamb Meat;" Mark Rivir et al.